The newest technology in the world of 3D modeling is 3D pen. With the world’s latest affordable 3D-printing technology, 3D pens, a designer can make solid drawings and craft impressive sculptures. But how can a designer use this marvelous tool? 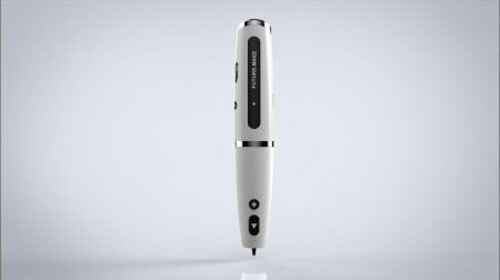 If you are going to start new profession in full swing, then this small and smart 3D printing pen will assist you definitely. The pen, dubbed 3Doodler that can ‘write’ in three dimensions. Experts says, the pen, which works something like a glue gun, allows the user to wave it in mid-air to create a three-dimensional rendering. 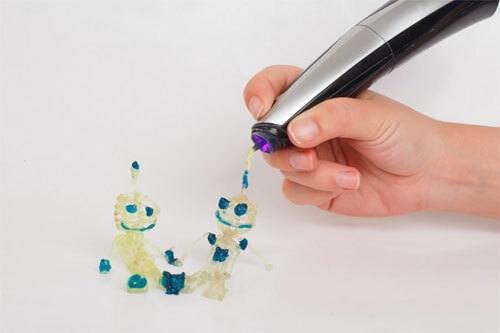 The 3Doodler plugs into an electrical outlet and oozes a thin strand of heated plastic, which quickly cools and solidifies, allowing the user to build an infinite variety of patterns and shapes. It can create 3D designs on flat surfaces or in the air. Spaghetti-like strands of ABS thermoplastic in a range of colors can be loaded into the back of the pen, and WobbleWorks says each one-foot strand of plastic can produce about 11 feet of moldable material. This 3D printing pen has great potential and can be a perfect tool for stylists, architects, designers and anybody who are interested in 3D printing. 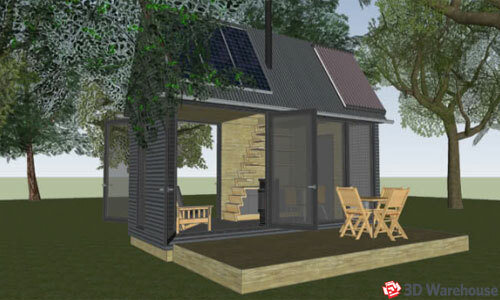 We also continually have new ideas of how to restructure our 3D technology. It helps impressive art, jewellery, sculptures, and a variety of homeware. It helps traditional and digital artists looking to express their creativity on a new level. The hobbyists are looking to acquire useful tips, tricks, and working practices to make the most out of their 3D-printing pens.